David Porthouse & Co is a Carlisle accountant based in Stanwix. David was born in the North of England and qualified in 2002 as a Chartered Certified Accountant. Since then David has worked continually in public practice. David Porthouse & Co – Accountant Carlisle was created with the view to improving cost and job turn around time within the industry. To achieve this the latest technology is used alongside David Porthouse & Co’s proprietary accounts production and bookkeeping software. Our proprietary software means that much of the accounts production process can be automated on a computer which allows us to pass savings onto you, the customer. You can download a quote by visiting our website which is linked above. 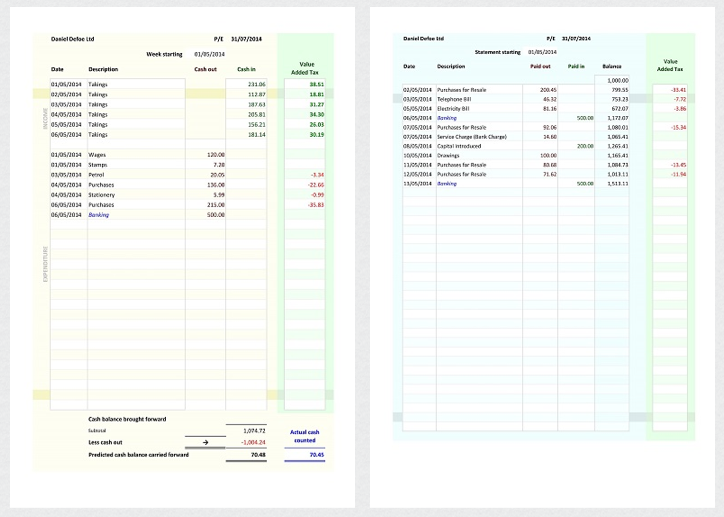 Screen shot of our free bookkeeping spreadsheet. We offer a free professionally designed bookkeeping spreadsheet to all our customers. You can find out more about by clicking here. We believe a well designed spreadsheet is the best solution to bookkeeping for small businesses. We’re so confident in our belief that we offer a 25% discount for customers that use it on top of our already competitive pricing. If you have any questions or would like to chat about how we can help you then please visit our website for contact details. This entry was posted in Uncategorized and tagged Accountant Carlisle, bookkeeping software, Chartered Certified Accountant, David Porthouse, David Porthouse & Co. Bookmark the permalink.